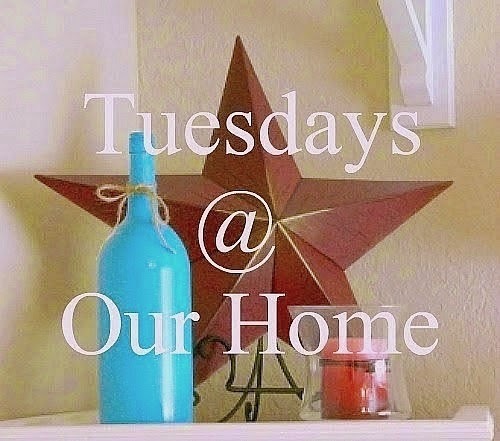 Welcome to Tuesdays at Out Home! 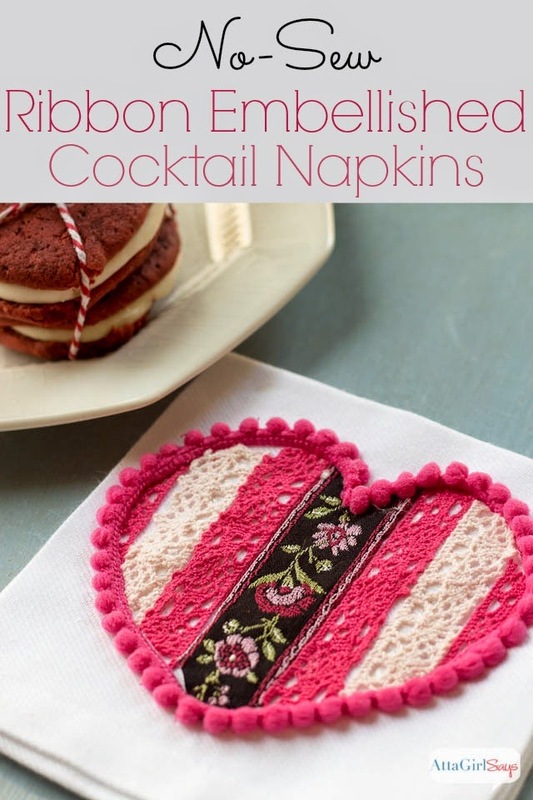 DIY projects, crafts, recipes and home decor. So much talent out there! 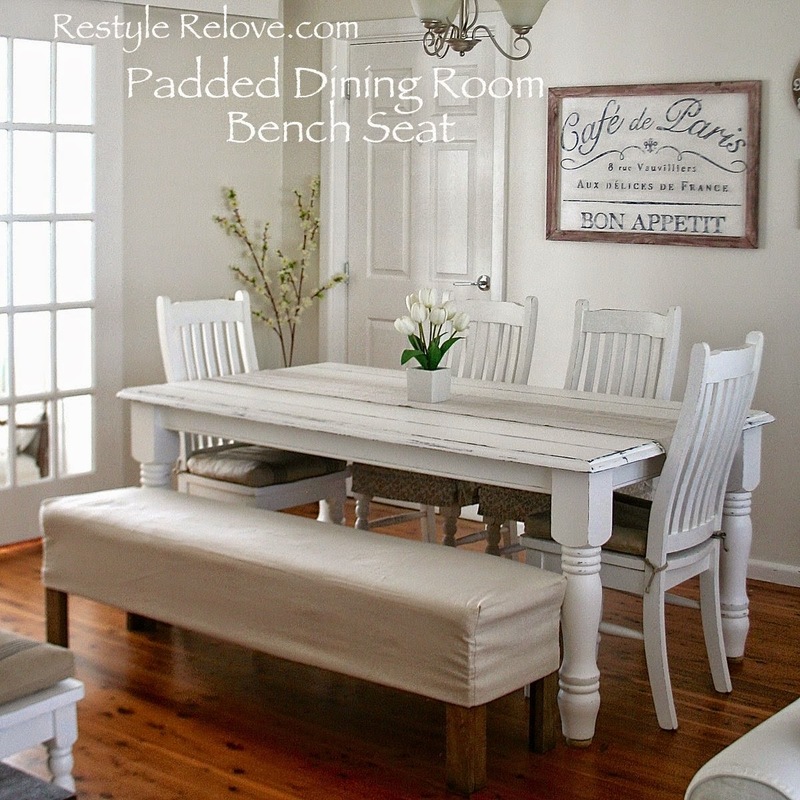 Julie at Restyle Relove made a beautiful drop cloth cover for her dinning room bench. 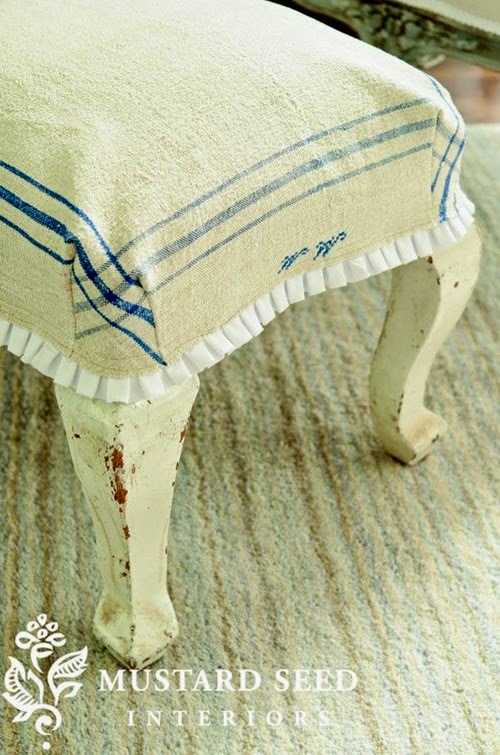 Kim at Living Vintage shared some gorgeous sewing ideas using vintage linens. 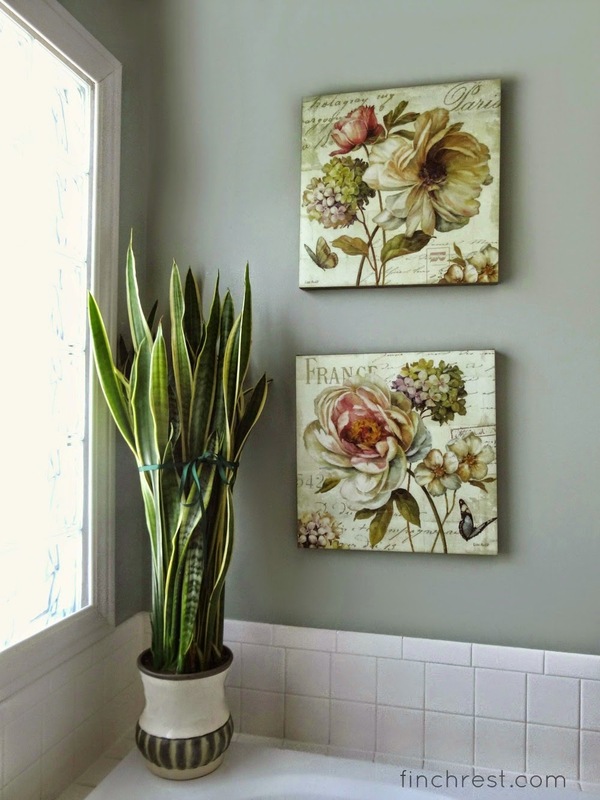 Michele at The Nest at Finch Rest gave her bathroom an update by changing the wall color. with your kids and a pretty printable. Another yummy recipe was shared by Rebecca at Living Better Together. This recipe for Grapefruit Olive Oil Cake sounds delicious! Now, lets see what you have been up to this week! You can link up any posts that are home decor, gardening, crafting, painting, sewing, cooking or DIY related. NO Etsy shops or link parties, please. And although there is no other rules to join, I would love if you start following my blog. Thanks for hosting, Maria Elena! Happy Valentine's Day this Saturday! Thanks for hosting another fun party!! Good afternoon, Maria Elena! 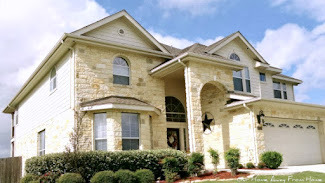 Thank you so much for hosting the blog party. 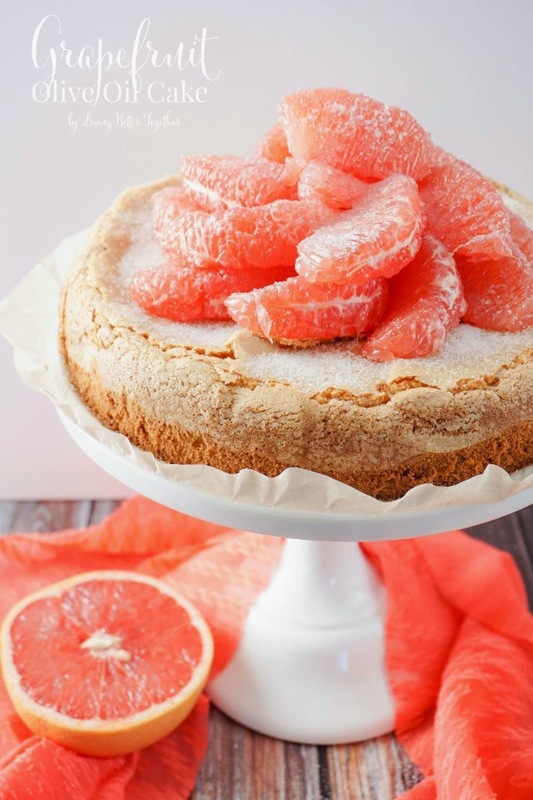 Doesn't that olive oil cake with grapefruit look great? It caught my eye last week also. Have a great week! Thank you for another great party!!! Thanks so much for hosting. 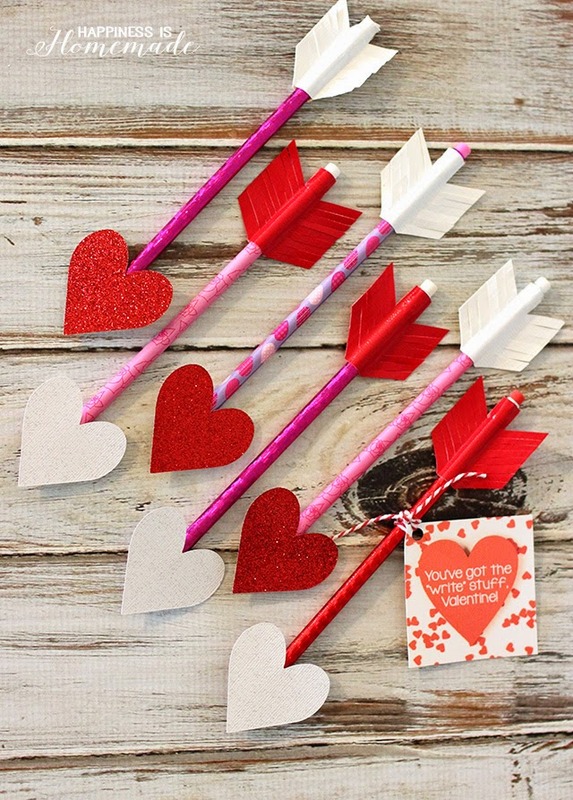 Have a great week leading up to Valentine's Day! OMG sweet lady, how exciting and honored I feel for featuring my dining room in your great party! Thanks a ton and now I'm running with my feature button! Thank you for having me this week for the fun as well. PS: My DD Alex is in Madrid now. I always think of you. What a lovely blog, this is the first time I stopped by. I posted a link to share. Have a happy Tuesday and thank you for hosting. Thank you for hosting the party. Have a great day! Thanks for hosting Maria Elena! 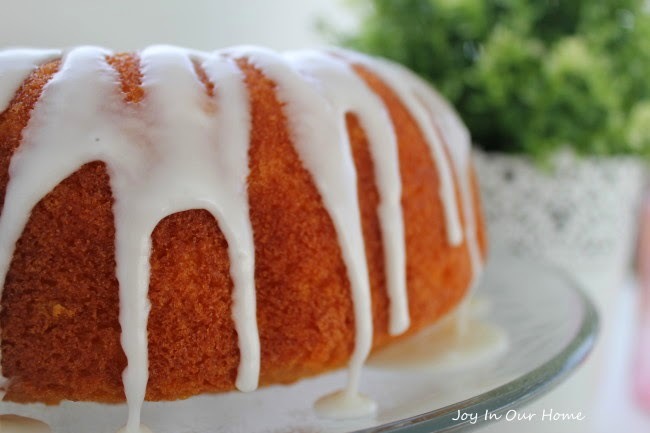 And what a great surprise to see my Lemon Poppyseed Cake featured! Made my day :) Have a wonderful week! Thanks so much Maria Elena for the party! I'm now following your wonderful blog and hope we can become new blog friends. Have a wonderful day. Thank you so much Maria! Love the features!